Nike Nike Air Force 270 "Command Force"
Nike Air Force 270 "Command Force"
Inspired by the David Robinson-associated Nike Air Command Force from 1991, the "Command Force" Nike Air Force 270 features the high-top's famous "Hyper Jade" colorway, adding the hue to a mostly black and white design with a speckled midsole. Release date is June 2018 at a retail price of $160. 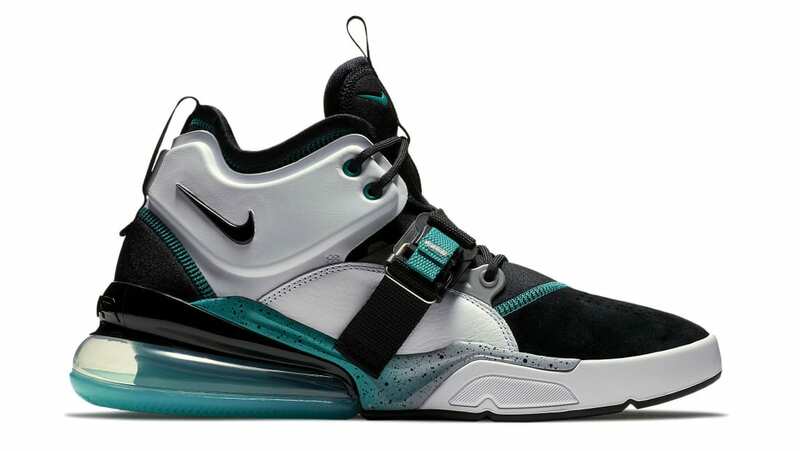 News Nike Air Force 270 "Command Force"